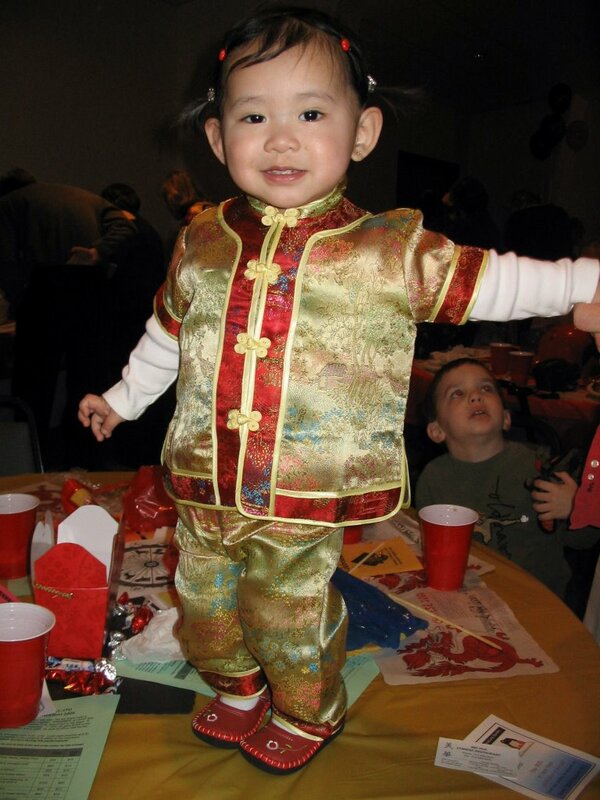 Well, today we celebrated Chinese New Year with our local FCC chapter in St. Louis. There was a great turnout, over 350 people, and lots of beautiful children in their silk outfits. Isabelle was no exception and it was fun to dress her in one of the (many) outfits we purchased for her while we were in China. 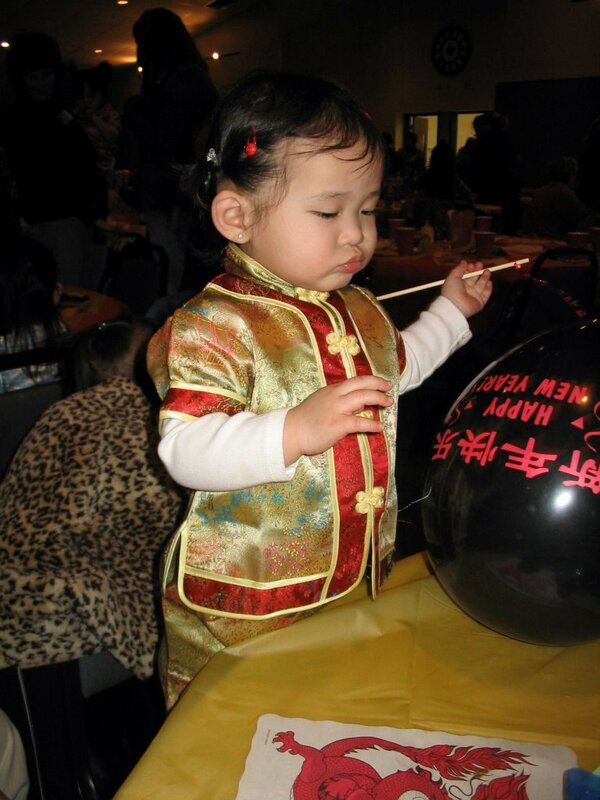 She wasn’t terribly interested in the amazing Chinese food they served, but she was mesmerized by the balloons and Chinese toys they gave away. Whatever it takes, right? I had contacted the family that had been offered Isabelle’s referral and turned it down via email a few months ago. The mom is a super nice lady and it turns out we are members of the same FCC group. So we planned to try to meet at this event since both our families were planning on attending. Well, before I could even get our name tags filled out, she came up to me and introduced herself. Turns out they were sitting at the table right next to us. 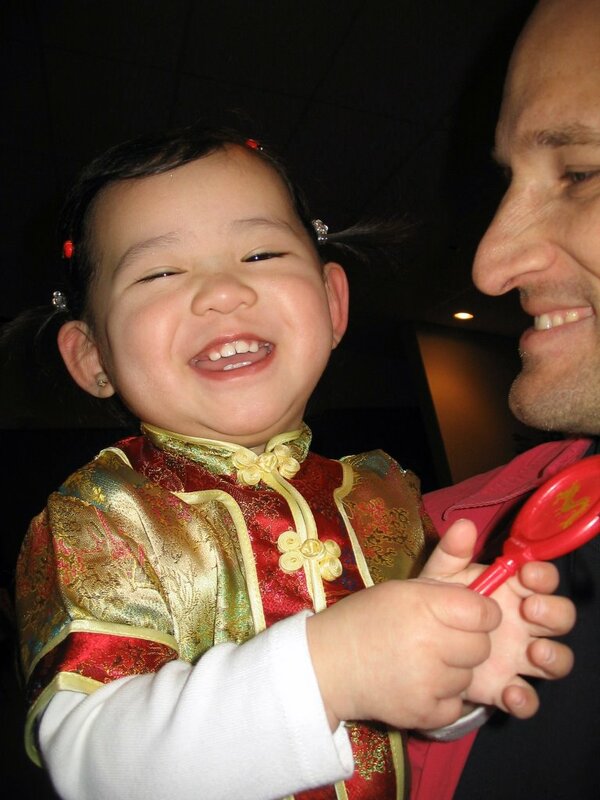 She has 3 girls adopted from China and they were all just adorable. She told me that they so wanted to adopt Isabelle, but they just had too many things going on in their lives at the time and couldn’t see being able to adopt at that time. 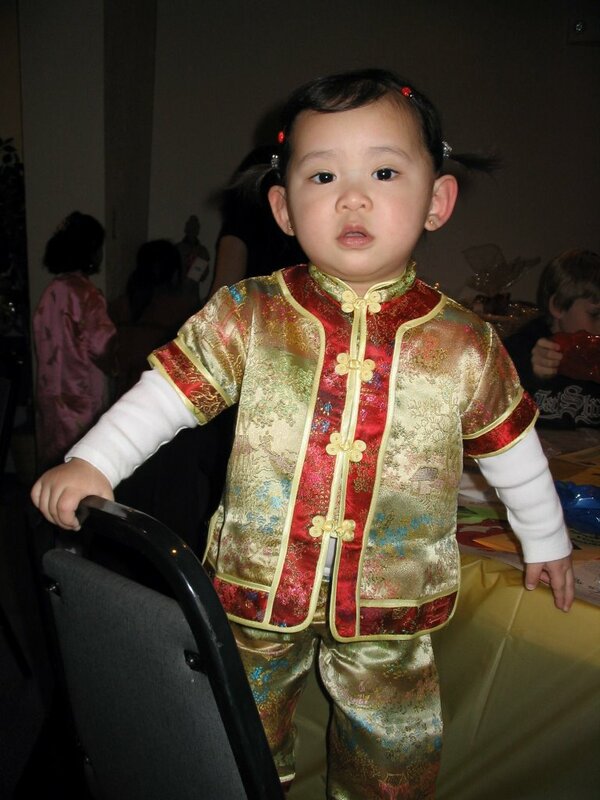 Isabelle looks so pretty in her little Chinese outfit. She is getting so big and her hair is getting so long now! What a sweetheart. We can’t wait to hear her rock out on the recorder!!! Much love from the Ohio Crew. PS I’m diggin’ those shoes, baby! Gotta get me some of those! Das what I’m talkin’ about…Ohio peeps.